Think you know your Western literature? Answer 15 or more correctly and count yourself among the true Western literati. 1) Where were David Brower, Charles Park and John McPhee camping in the first section of Encounters with the Archdruid? 2) Which fictional fishing village in Washington was the site of Kabuo Miyamoto's trial for allegedly murdering a man with a fishing gaff? 3) "Yuki" Uchida and her family were sent to Topaz Internment Camp in which Western state during World War II? 4) In Cormac McCarthy's novel Cities of the Plain, the ranch where John Grady Cole and Billy Parham work is located in which New Mexico city? 5) Where did Paul and Norman Maclean go fly-fishing and get lessons in Presbyterian theology from their father? 6) Where did fictional rancher Gilbert Wolfscale live in Annie Proulx's short story "What Kind of Furniture Would Jesus Pick?" 7) Where were the Chavez brothers headed to work in the strawberry fields when their van crashed during a chase with the Border Patrol? 8) Where is Archbishop Jean Baptiste Lamy, the inspiration for Willa Cather's Death Comes for the Archbishop, buried? 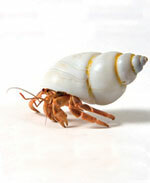 9) Where was Buster the hermit crab's transplanted home? 10) What is the setting for George Stewart's 1951 novel Sheep Rock? 11) What Western state did Mark Twain wind up living in for more than six years, despite his intention to spend only three months there seeing all that "was new and strange and then hurry home to business?" 12) Where does the fictional Navajo cop Jim Chee call home? 13) Where is Ivan Doig's This House of Sky: Landscapes of a Western Mind, based? 14) Victor Joseph and Thomas Builds-the-Fire - two of Sherman Alexie's main characters from his novel The Lone Ranger and Tonto Fistfight in Heaven - live on what Indian reservation? 15) Rudolfo Anaya's coming-of-age novel, Bless Me, Ultima, took place in and around what New Mexico town? 16) What was the event that provided the inspiration for John Nichol's Milagro Beanfield War? 17) Who was the basis for "Doc" in Steinbeck's Cannery Row, and where is the inspirational marine lab located? 18) After his travels erode into disappointment, in what Rocky Mountain city does Sal, of Jack Kerouac's On the Road, confront the possibility that his journey may have been a failure? 19) What is the name and location of Ken Kesey's fictional logging town in Sometimes a Great Notion? 20) The Monkey Wrench Gang escapes into which labyrinthine complex of canyons in Utah? 21) Wallace Stegner's Pulitzer-winning Angle of Repose features what Rocky Mountain mining town? ANSWERS: 1. Glacier Peak Wilderness, Wash. 2. San Piedro (David Guterson's Snow Falling on Cedars) 3. Utah - near the town of Delta (Yoshiko Uchida's Journey to Topaz) 4. Alamogordo 5. The Big Blackfoot River, Mont. (Norman Maclean's A River Runs Through It) 6. Elk Tooth, Wyo. 7. Watsonville, Calif. (Ruben Martinez's Crossing Over: A Mexican Family on the Migrant Trail) 8. St. Francis Cathedral in Santa Fe, N.M. 9. Tucson, Ariz. (Barbara Kingsolver's High Tide in Tucson) 10. Black Rock Desert, Nev. 11. Nevada (Mark Twain's Roughing It) 12. The banks of the San Juan River near Shiprock, N.M. (Tony Hillerman's novels) 13. Montana's Smith River Valley 14. Spokane Indian Reservation 15. Guadalupe, N.M. 16. The Tierra Amarilla, N.M., Courthouse Raid of June 5, 1967 17. Ed Ricketts; his office is located at 800 Cannery Row, Monterey, Calif. 18. Denver 19. Wakonda, Ore. 20. The Maze in Canyonlands National Park 21. Leadville, Colo.